Our hulls are the soul of our boats. 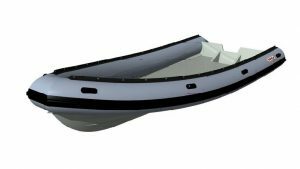 Renowned for their comfort when at sea, our hulls are made in a shape specifically designed by architects and approved by professionals’ experience, thus raising our boats as genuine 4×4 of the sea. Our handcrafting skills give our hulls incredible stiffness and an unequaled comfort at sea. 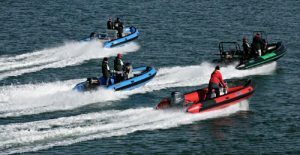 Our three base designs are distinguished by the shape of their hulls. Light boats suitable for transport by road. At ease on rivers and at sea, its easy lowering will allow you to use it as often as possible. Deep V-shaped hull and custom made layout. These boats allow safe seafaring during heavy seas thanks to their deep V-shaped hull. They are customizable according to your likings and are suitable for transport by road . 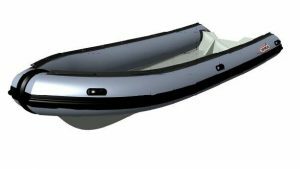 The XVPRO is the prime boat of the zeppelin fleet, as suitable for families as for professional use. 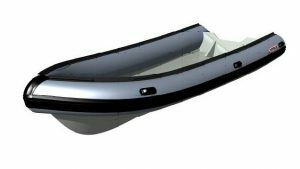 Its large width allows a large range of customization, you can thus make it a truly unique boat. Your boat will meet your needs while keeping an unequaled comfort when at sea.